Regardless of whether it’s your first date or your 25th anniversary, we believe that every rendezvous with your significant other should be as romantic as possible. 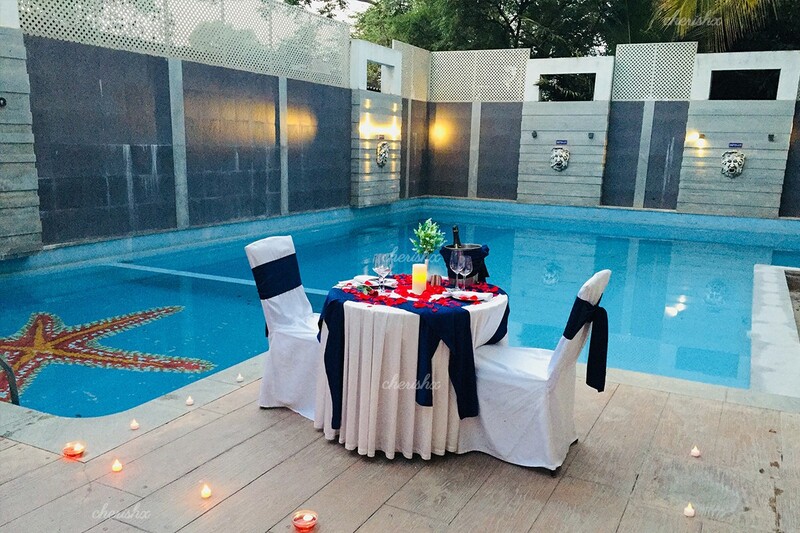 Here is a chance to spend some memorable time with your loved one with a Romantic Poolside candle light Dinner. This beautiful restaurant offers authentic flavors cuisines across India and beyond to bring you a mouthwatering luscious treat. 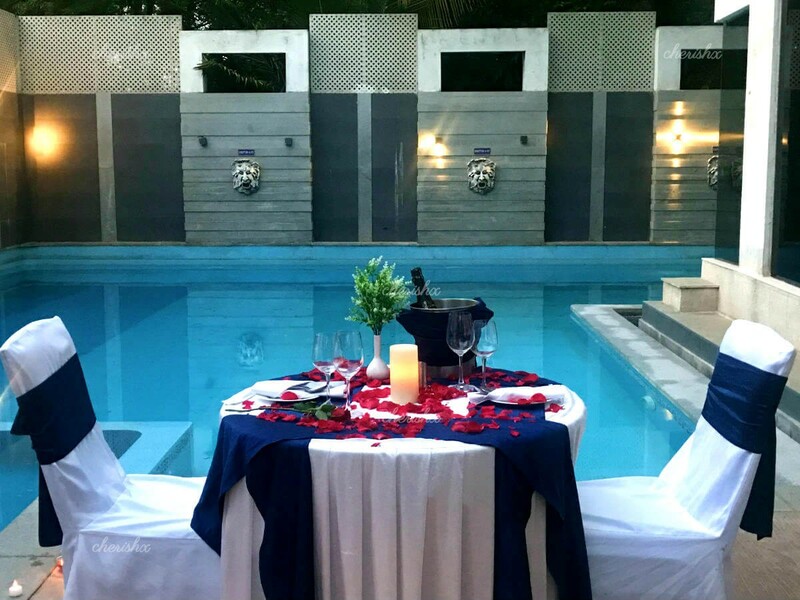 Enjoy a 5 course meal by a mesmerising pool. 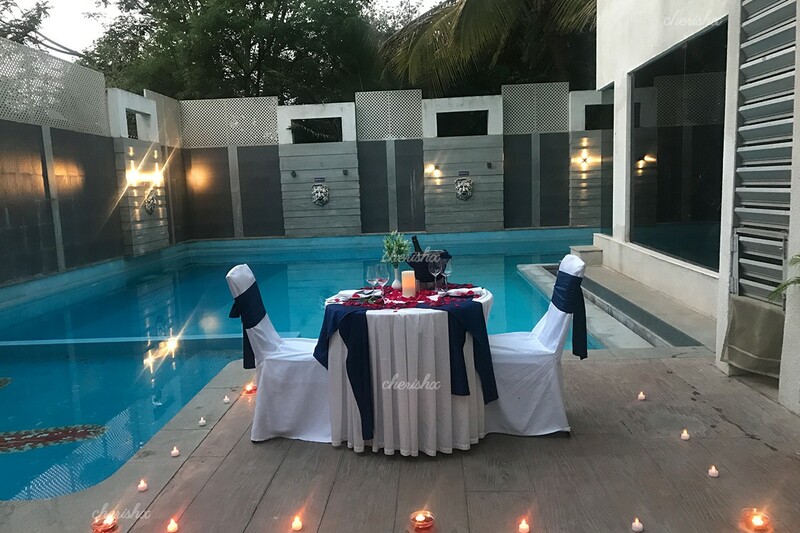 We all are busy in our hectic lifestyle and we don’t even realize that how important is it to enjoy some relaxing moments with your loved one.This Poolside Setup is like never seen before with delightful meals. 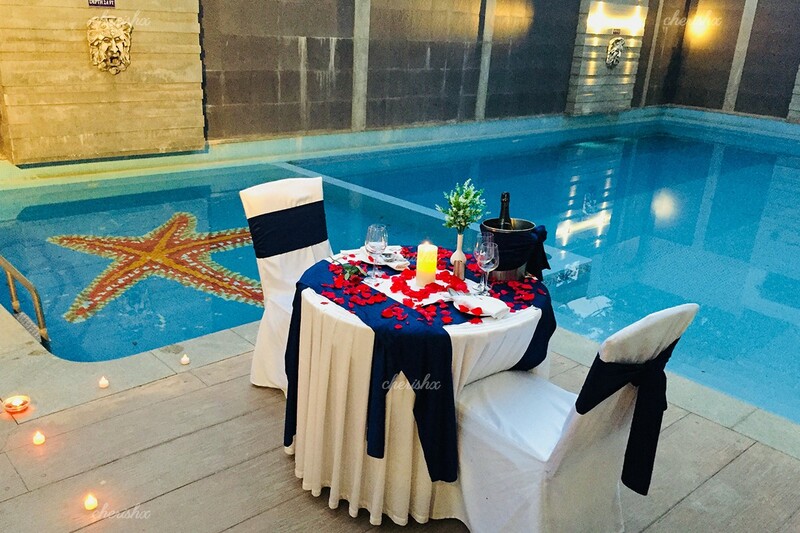 The ambiance gives a luxurious appeal to its diners with a sparkling emerald blue pool and romantic decoration of rose petals and candles. With services of valet parking, the restaurant is a good place for all your celebrations in a premium budget. A perfect blend of charming ambiance and marvelous delicacies to enhance your experience. 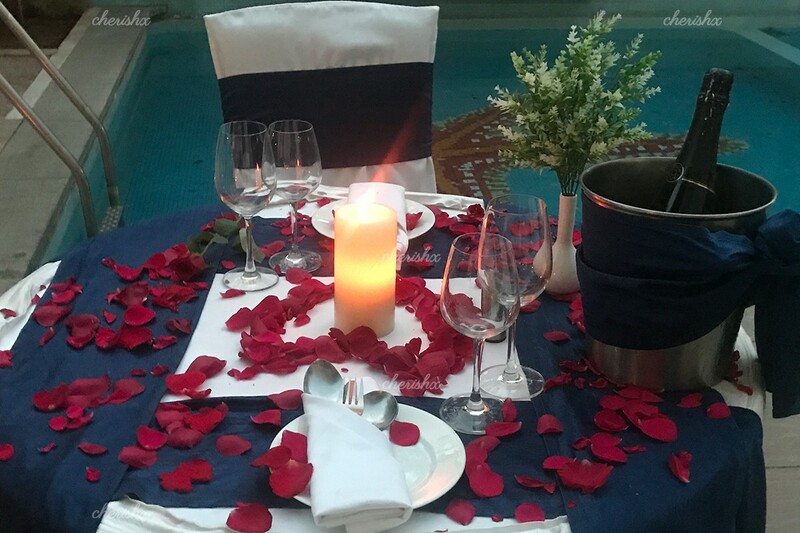 There is nothing more magical than a romantic candlelight dinner, and we offer you a perfect ambiance for your special moments of love. Enjoy a luscious experience.